The 37th Annual HOTEL, MOTEL AND RESTAURANT SUPPLY SHOW OF THE SOUTHEAST (open only to members of the hospitality industry) is a comprehensive marketplace offering one-on-one exposure to the actual producers and manufacturers of the latest innovative and problem solving solutions to the world of hotel, motel, and other forms of hospitality as well as to demonstrate cutting-edge technology newly available to the hospitality industry. In today's business environment, being able to improve efficiency while growing profits is necessary for success in the highly-competitive world of hospitality. Don't miss this three-day event, featuring thousands of the world's leading manufacturers and producers of hospitality products throughout some 500 plus booths on the show floor! 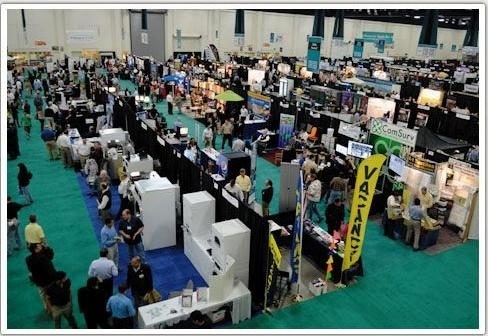 For the past 36 years, hospitality industry leaders have found that attending the Hotel, Motel and Restaurant Supply Show of the Southeast affords them the same exposure to the latest products and services featured on a national level. We have the hospitality show you are looking for. Time is money, and we save you both! The Hospitality Trade Show's exhibits offer a full range of products and services for all areas of the Food Service and Lodging Industry. Hospitality vendors, including hotel, motel, and catering suppliers will exhibit a wide range of Hospitality supplies. This Myrtle Beach Hospitality Trade show includes exhibits and advice ranging from... - Food Service Industry topics such as: - Food and Beverage Supplies - Advertising - Technology, Electronics, Fitness & chemicals - Consultants and guest services Catering hospitality supplies, including: - Table Top Supplies - Furnishings and accessories Hospitality services such as: - Maintenance equipment and supplies Hotel and motel hospitality supplies such as: - Bedding and Linens And other topics that apply equally well to Hotel, Motel, and Catering Hospitality needs.